As a Realtor working in Lakeland, I am pleased to provide you an overview of my hometown I’ve grown to love, along with current Lakeland homes for sale from the Multiple Listing Service as you scroll down. There’s a good reason why #LoveLakeland is a popular hashtag on social media. What’s not to love about Lakeland Florida? This city whose slogan is “Close to everything…away from it all,” is situated in the heart of the Interstate 4 corridor between Tampa and Orlando, and it is anything but a bedroom community for these two larger cities. 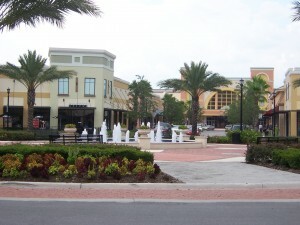 Lakeland is home to Publix corporate headquarters and an Amazon distribution center. Other key employers in the area include the Polk County School District and Lakeland Regional Medical Center. These employers make it possible for tens of thousands of residents to earn a living each year, but what is it about this city that entices more than 100,000 people to truly live here? Sit back and read on. We’re about to tell you. For Crystal Mason who works at a Publix pharmacy in Lakeland, it’s the feeling that we operate at a slower pace here than in south Florida, where she lived previously. “The people are much nicer than in south Florida,” Mason says. Lakeland’s historic neighborhoods, buildings and landmarks are valued and protected. The historic Polk Theatre was a vaudeville/movie palace built in 1928. Today, it hosts a variety of entertainment, including independent films, live music, plays and musicals. A point of pride is that Elvis Presley performed here on Aug. 6, 1956 and signed his name to the third floor dressing room wall. 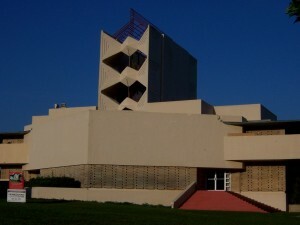 Florida Southern College is located along the northern shore of Lake Hollingsworth and is the oldest private college in Florida. But it is best known for being the largest single-site collection of Frank Lloyd Wright architecture in the world. The National Park Service designated the campus as a National Historic Landmark in 2012. Those who visit Lakeland Florida often forego the numerous chain hotels and opt instead for the historic Terrace Hotel, a proud member of Historic Hotels of America. The Terrace, which opened for business in 1924, has faithfully maintained its historic architecture and ambience since its renovation in 1998. The Lake Mirror Promenade is listed on the National Register of Historic Places. It was conceived in the 1920s and restored in the 1990s. The loggia is a prominent part of the promenade, as it architecturally connects Massachusetts Avenue to Lake Mirror. The promenade also is near Hollis Garden and Barnett Family Park. Mitchells Coffee House – freshly brewed coffee and Mitch’s famous breakfast burrito or a homemade pastry are a great way to start your day. For a great dessert, try the Coca Cola cake. If you want to learn more about all the local politics that isn’t fit for print, befriend the group of gentlemen who hold court in the coffee shop each weekday morning. You’ll know them when you see them. Trust us. Downtown Farmers Curb Market – held every Saturday from September through July, this market in downtown Lakeland offers fresh fruits and veggies, crafts, and other items or take a walk around Lake Mirror to 801 E. Main Street and grab some beignets from the Poor Porker booth now, and thank us later. Lake Hollingsworth – if you’re working on your fitness, chances are you’ll find your way here. A 2.7-mile paved path around the lake draws thousands of walkers, runners, cyclists, rollerbladers and skateboarders day and night. This path is home to myriad awareness walks and 5K races, as well as the annual Orange Cup Regatta, a boatracing event. Second to None Barber Shop – this is where the locals go to talk about sports and girls, and get a haircut while they’re at it. Enough said. Publix Aprons Cooking School – with its headquarters being located here, it’s only right that there is an Aprons cooking school. People bring home the bacon- and more – and learn to fry it up in a pan at these classes. Tenoroc Shooting Range – we live in a hunter’s and fisherman’s paradise, so sharpening those shooting and bow-hunting skills is a good idea. Handgun, rifle/shotgun and bow ranges are available. Thursday Squared Food Truck Rally – when did food trucks become cool? We don’t know, but boy are they! Downtown Lakeland’s monthly food truck rallies attract between 3,000 and 3,500 people each month. It was at a food truck rally that Rachel Cashdollar made the decision not to return home to Pennsylvania after graduating from Florida Southern and completing a summer internship. Cashdollar took part in the Lakeland Economic Development Council’s Summer Leadership Program and during a social at the food truck rally, it hit her: Lakeland was an area that provided a lot of opportunity for her. She determined then she would find a job and stay here. She loves running Lake Hollingsworth. Lakeland also is a place where “you know people,” she says. We are blessed with a variety of activities in Lakeland that don’t cost a dime. Polk Museum of Art offers free admission Thursdays, Fridays and Saturdays, thanks to several corporate sponsorships. 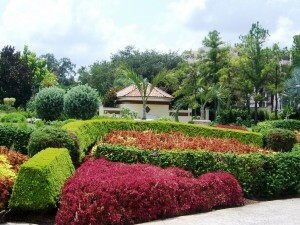 Hollis Garden is home to more than 10,000 flowers, ornamental shrubs, shade trees and even vegetables. It’s a great place for a leisurely stroll, and is the location of many weddings and professional photography sessions. The Lake-to-Lake bikeway offers an excellent opportunity to view Lakeland at a slower pace. The Fort Fraser Trail provides a safe, scenic ride to nearby Bartow, and also includes a pathway into Circle B Bar Reserve. A whole host of events downtown are free, including First Friday, Pics on the Promenade, Music on the Promenade, and the city’s annual Fourth of July celebration with fireworks over Lake Mirror. f you would like to see any of the above Lakeland homes for sale, please contact me at 863-619-6918 to arrange a private viewing. Not one mention about the Detroit Tigers and their 78 year history in Lakeland,the longest standing relationship between a spring training city and a major league baseball team or the Flying Tigers minor league baseball team that plays here in the summer months.